Didn't bring a shaker cup? Can't find a glass and spoon? 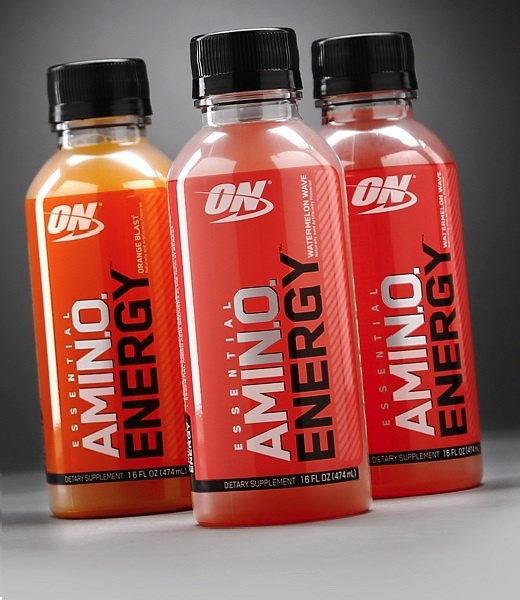 Now there's a ready to drink version of ON's ESSENTIAL AMINO ENERGY you can take along anywhere for an anytime boost of mental focus, physical energy and muscle recovery support. Each 16 fl, oz. bottle is packed with 5 grams of micronized free form amino acids and provides 100 mg of caffeine--about what you'd get from a strong cup of coffee. Crack one open first thing in the morning, on your way to the gym or for a mid-afternoon pick-me-up. ON's new ESSENTIAL AMINO ENERGY RTDs offer grab and go convenience. Directions for Essential Amino Energy: Mix two scoops of ESSENTIAL AMINO ENERGY in 10-12 oz of cold water. FOR AN AMINO ACID BOOST: Consume one or more sevings first thing in the morning and/or between meals. 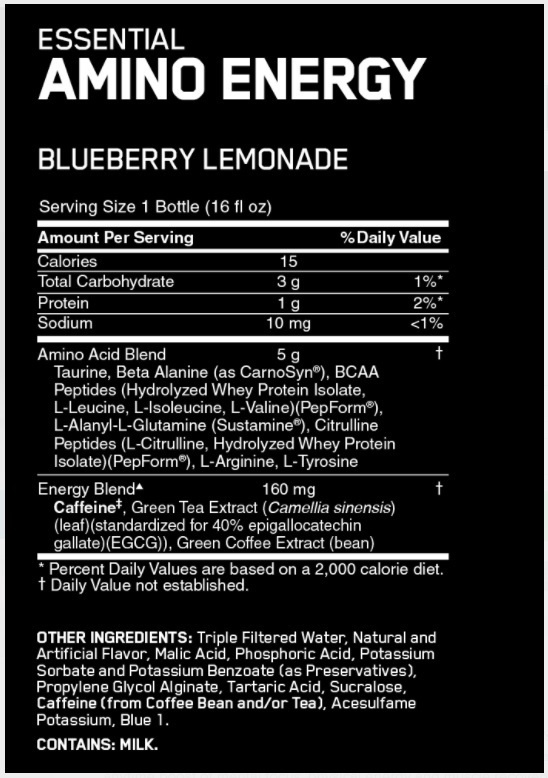 FOR POST-WORKOUT RECOVERY: Take 1-2 servings immediately after training. Do not exeed more than 5 servings per day. TIPS: ESSENTIAL AMINO ENERGY contains 50mg of caffeine per scoop, so do not consumer after 5:00 PM if you have difficulty sleeping. ESSENTIAL AMINO ENERGY also contains beta-Alanine and may cause a temporary tingling sensation on your skin. This is normal. With continued use, the instensity of the sensation will decrease or disappear. Also, some people may have a sensitive stomach and will not tolerate green tea exact well on empty stomach. If this is you, be sure to take with meals. Warnings: KEEP OUT OF REACH OF CHILDREN. Check with a qualified healt care professional before taking this product if you are pregnant or nursing a baby, under 18 years of age, have any known or suspected medical conditions, and/or if you are taking any prescriptipon or OTC medications.